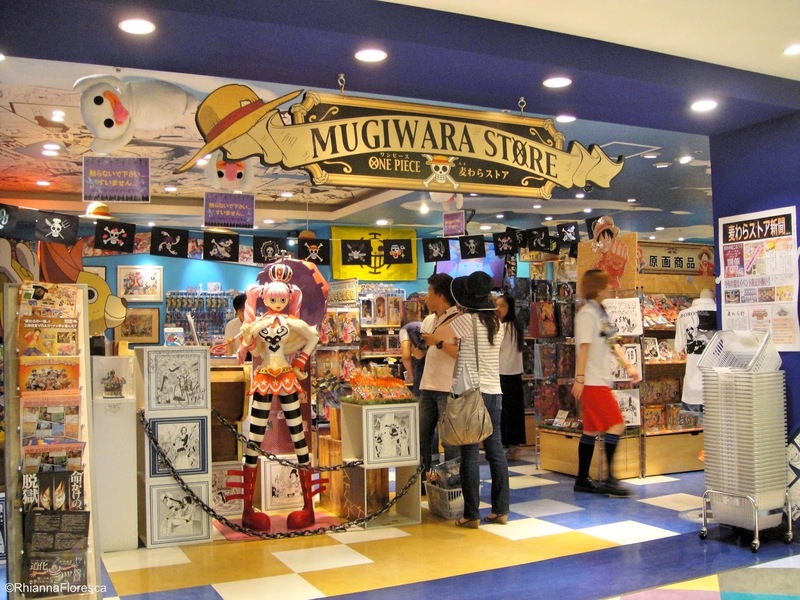 The ultimate store for everything One Piece: The Mugiwara Store! 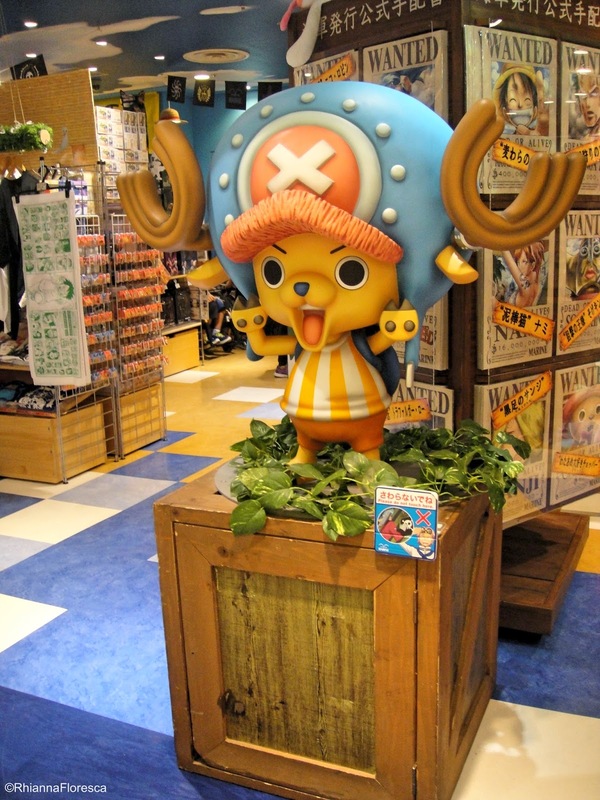 The Mugiwara Store is located at the 6th floor of Shibuya Parco. 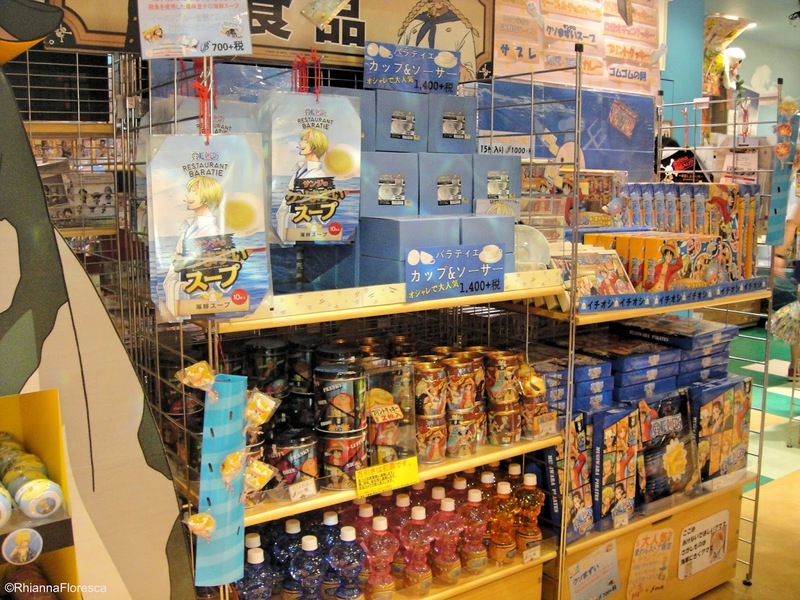 It's a big store occupying around 2-3 spaces and its filled with everything One Piece! 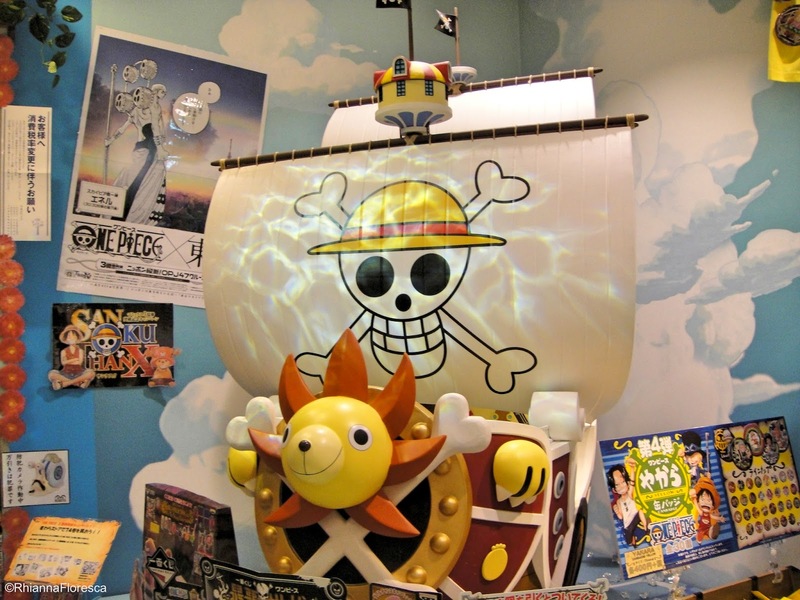 So if you're a fan, you must definitely visit! 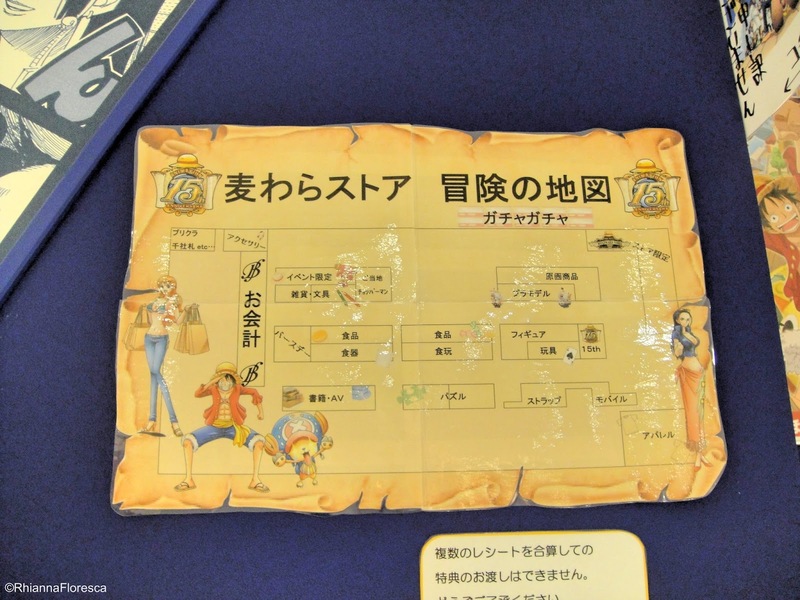 This is your treasure map guide throught the store. 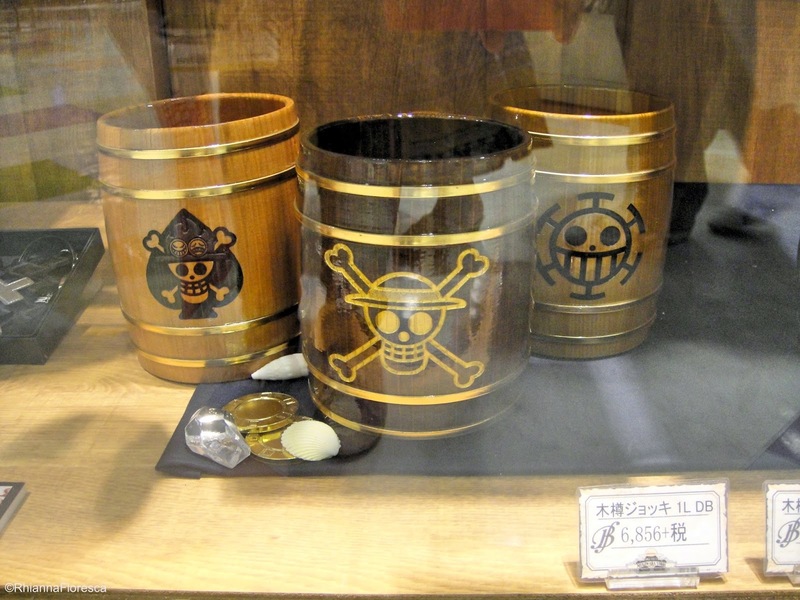 It's also the 15th Anniversary of the Anime series so there's a special area in the shop selling exclusive goodies! 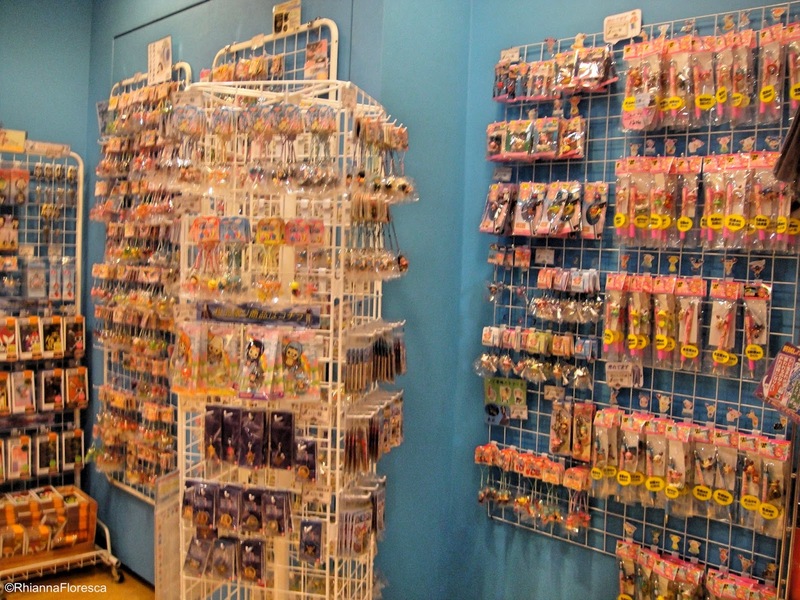 Since there're so much items in the shop, I couldn't keep track which rack I took pictures of first so I'll go through them as I can remember. 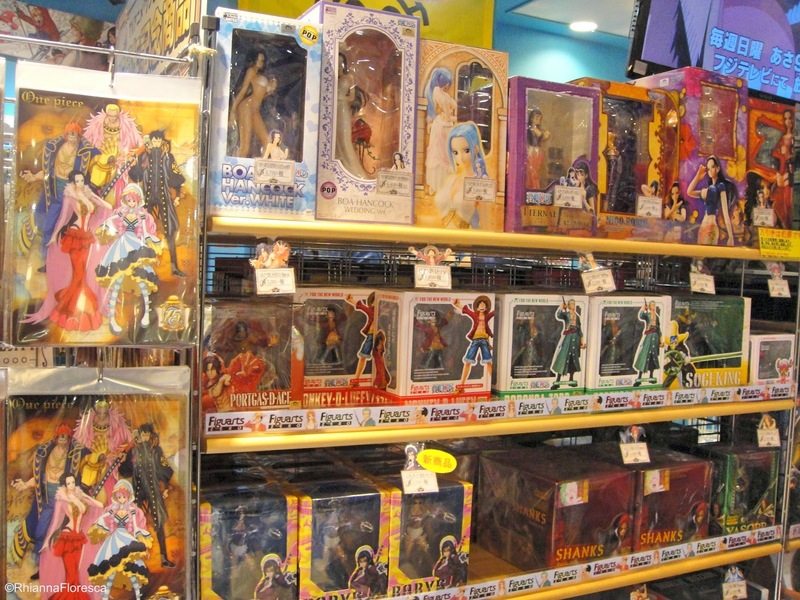 Pardon if some of the images are blurred. I thought I captured them clearly but apparently, they're a bit blurred. 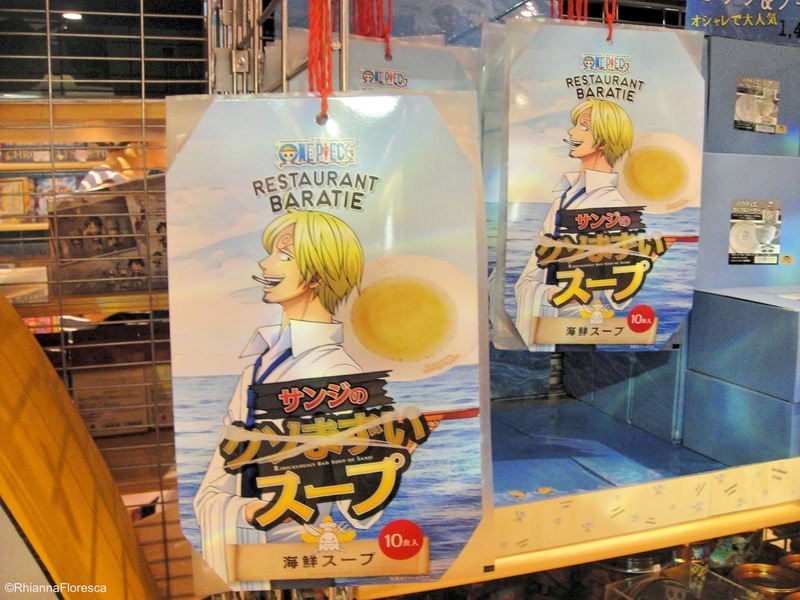 Oooooohhhh~ One Piece snacks and drinks! Wait, it's サンジ's soup (スープ)! 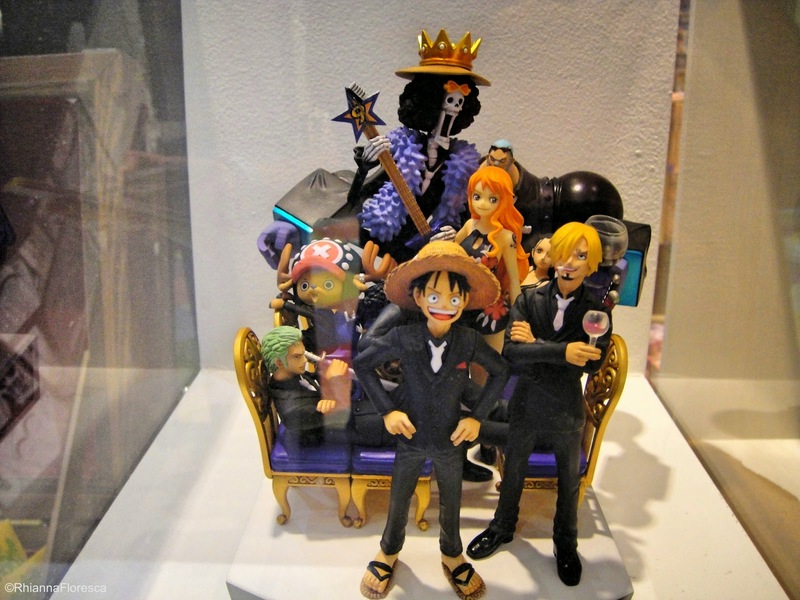 This is sold at 1,400 yen + tax it's around 640 in pesos. These mugs are really light! 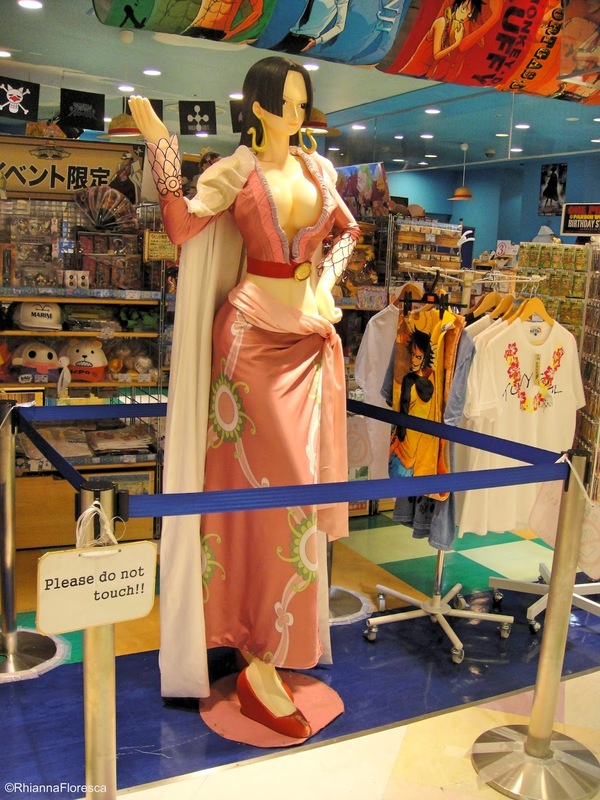 I held one to check it out but the price is way too expensive. 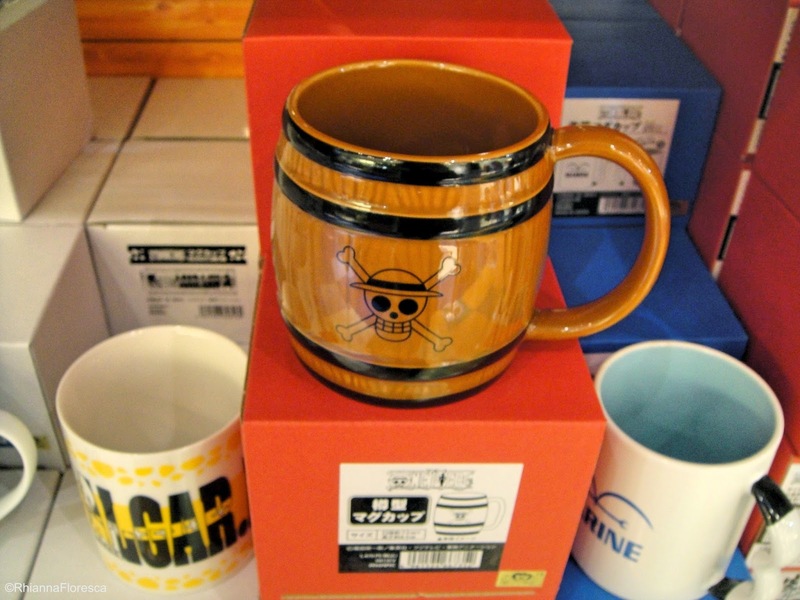 Much more expensive than the ceramic mugs at Gundam Cafe. 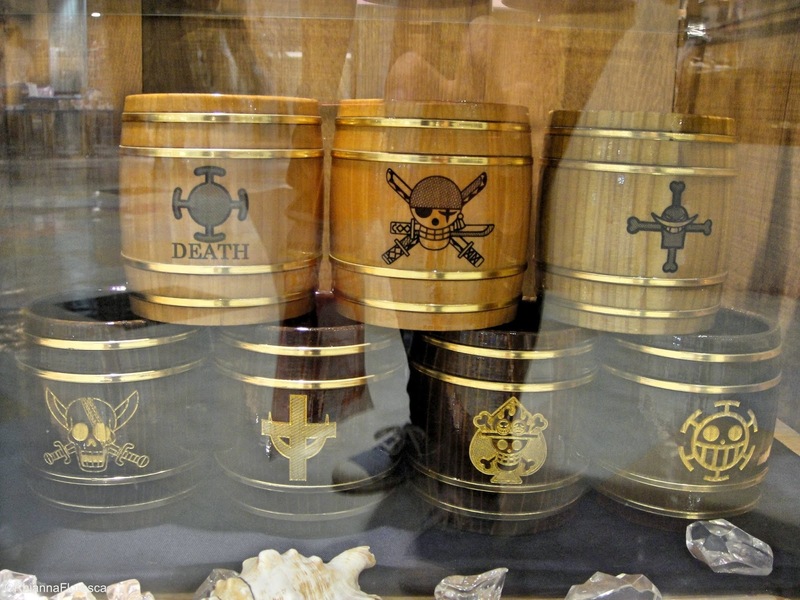 This are made out of synthetic wood and the symbols are engraved on the mug. 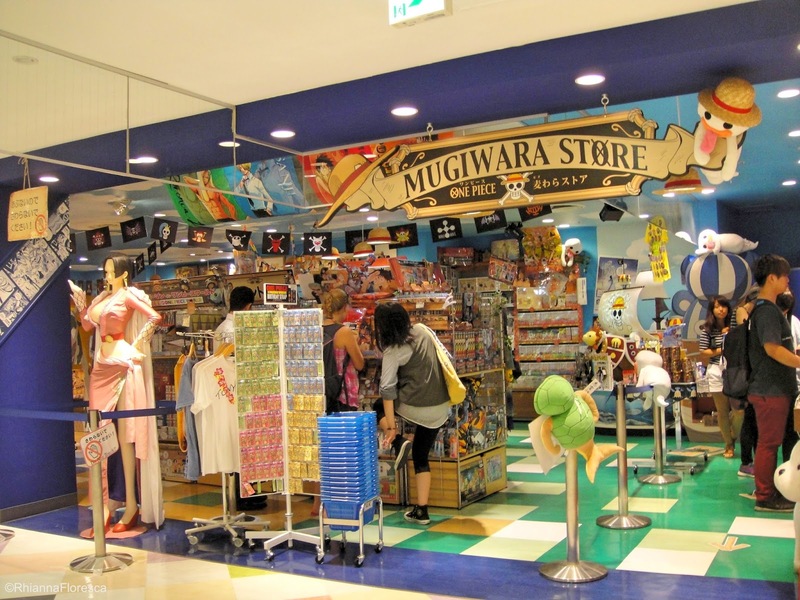 This is the other entrance of the Mugiwara Store! 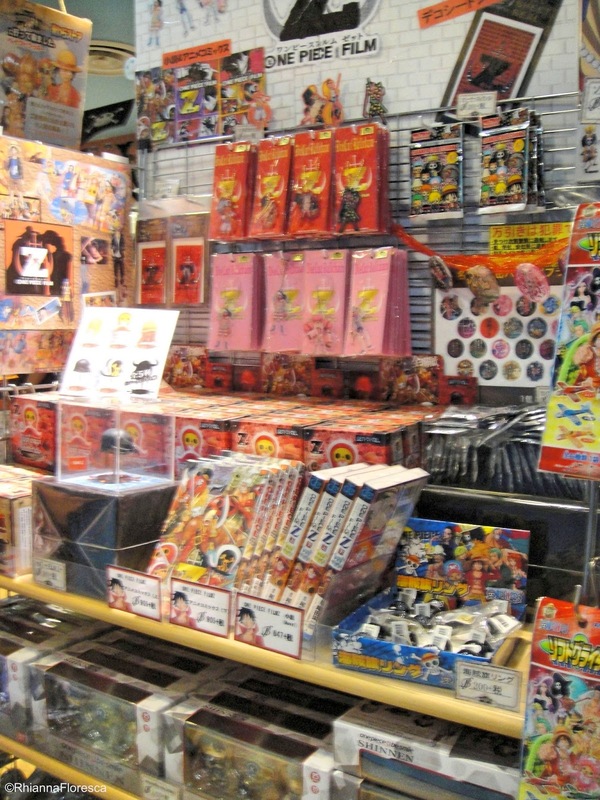 It will probably take you 2 hours in this store, that is, if you can't decide what to buy with your budget. 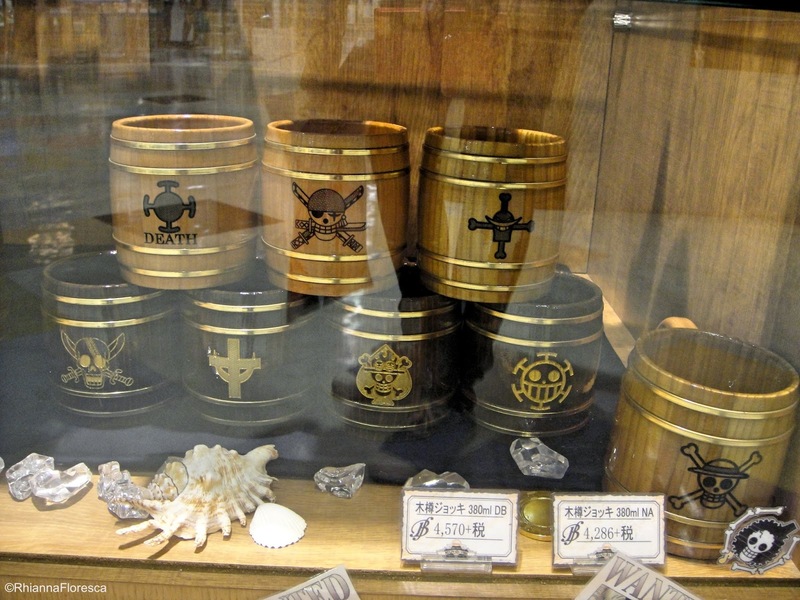 An interesting fact when you're at the till point/cashier/register is that the staff will tell you the amount in Beli and not in yen and the symbol on the register is the Beli symbol as well. 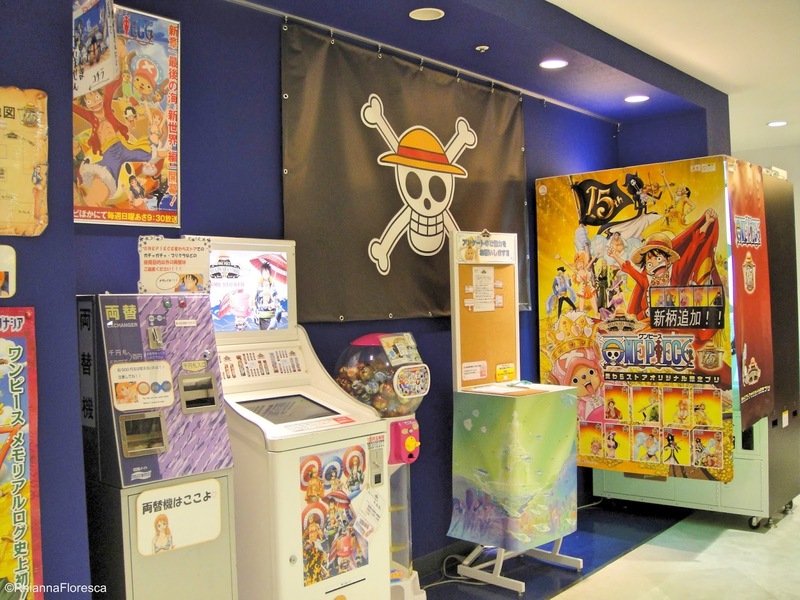 Also, if you'll notice, the ceiling lights are all in straw hats! 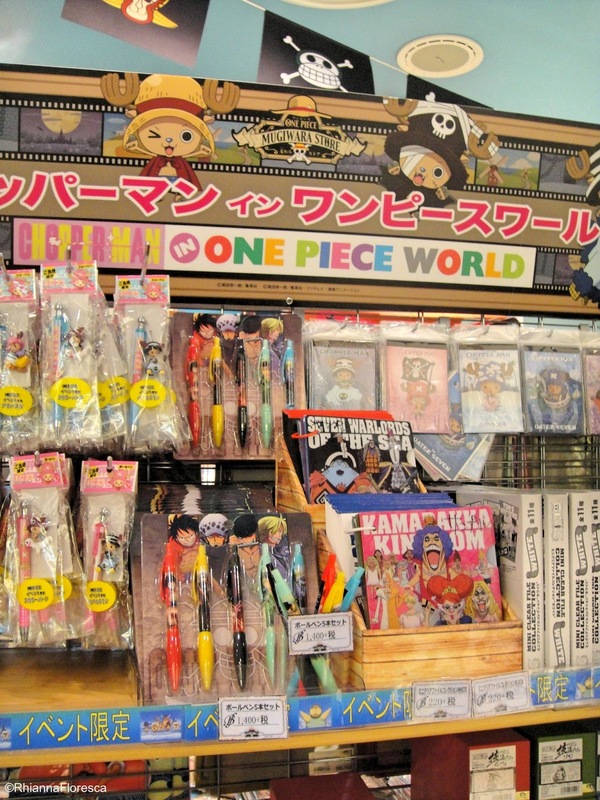 Truly, if you want to shop a lot of One Piece items, this is the place to go but don't forgo going to Jump Shop! 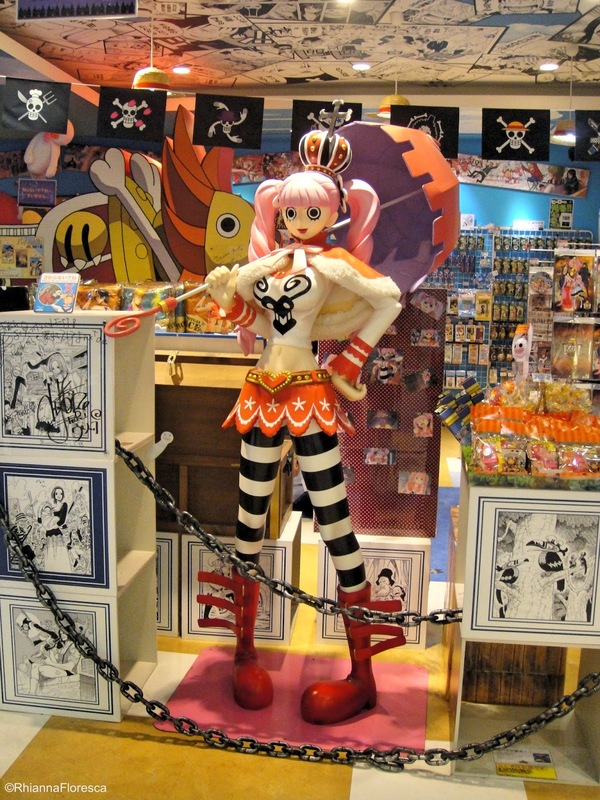 There're also a lot of One Piece items there and some exclusive goodies too. 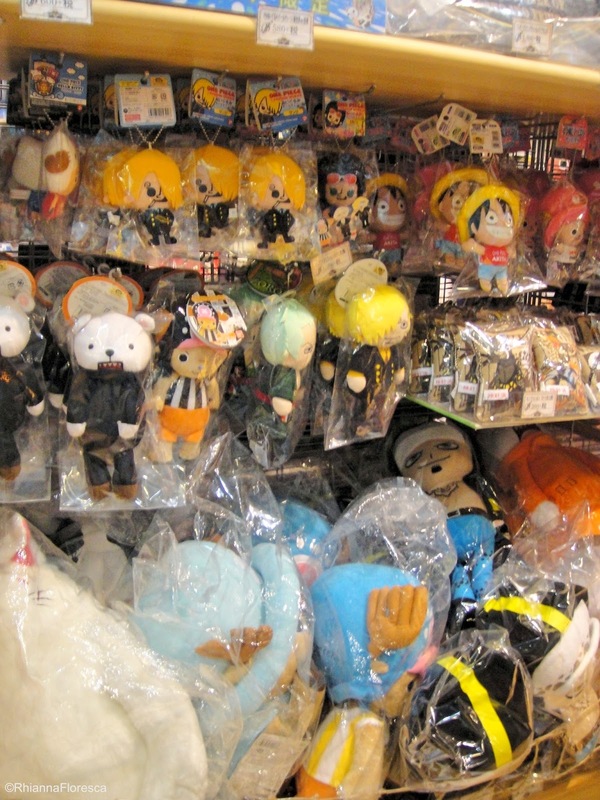 Anyway, this is it for my Mugiwara Store post! Hope you guys enjoyed it! 'Til the next post!